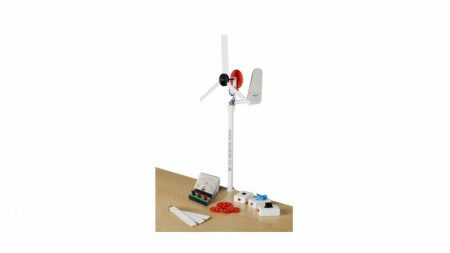 Use this kit to Evaluate different blade designs, gear ratios, generators, and devices to measure electrical and weightlifting power, whilst discovering advanced aspects of wind turbine technology. Containing everything you need to unleash the advanced concepts of wind turbine technology! 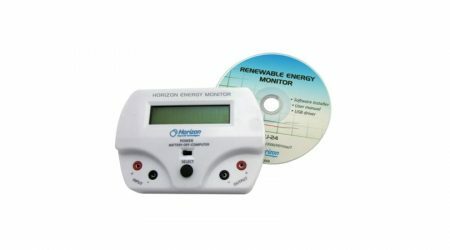 Conduct the same investigations as the Basic Wind Experiment Kit but with the ability to generate more power at higher voltages ( 0.5 V-20 V). This kit is ideal for years 8 through 12 as well as college students. It will provide young scientists with the opportunity to investigate gearboxes, Aerofoils and with the GenPack add-on; generator construction. They can also design and construct their own blades to generate electricity, lift weights, and pump water. Simply add your own wind source, basic tools, and imagination! This kit is also available in the Kidwind Advanced Experiment Kit, Classroom Pack. Containing everything you need to unleash the advanced concepts of wind turbine technology! 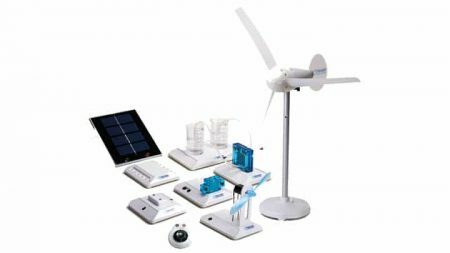 Conduct the same investigations as the Basic Wind Experiment Kit but with the ability to generate more power at higher voltages ( 0.5 V-20 V). This kit is ideal for years 8 through 12 as well as college students. It will provide young scientists with the opportunity to investigate gearboxes, Aerofoils and with the GenPack add-on; generator construction. They can also design and construct their own blades to generate electricity, lift weights, and pump water. Simply add your own wind source, basic tools, and imagination! The classroom pack option includes three turbines, extra hubs and blade consumables (for approximately 24 students). 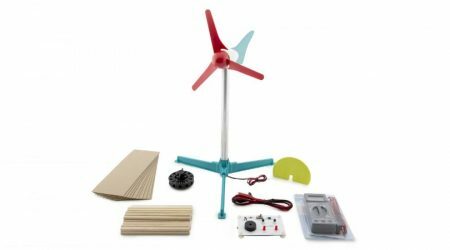 Educate young scientists to generate electricity, lift weights and test a variety of blade designs with this popular kit. 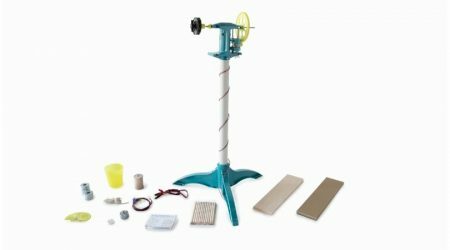 This popular kit allows young scientists to test a variety of blade designs, generate electricity, and lift weights using nothing but wind energy. 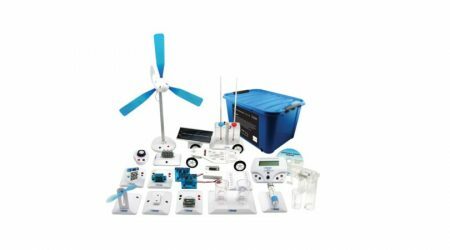 The Basic Wind Experiment Kit supplies you with everything you need to begin understanding wind power. Explore wind energy affordably and easily, just add the wind, basic tools, and your imagination. Great for grades 4-12 and groups, as well as individual science fair projects. The classroom pack option includes three turbines and extra hubs and blade consumables (for approximately 24 students). The simpleGEN is an easy-to-build AC generator that allows students to explore the basics of electrical generator design. Your students can now investigate the fundamentals of electrical generator design with an easy to build AC generator. The KidWind SimpleGEN enables you to demonstrate Faraday's law, light LEDs, and perform experiments that explore how coils, magnets, and rotation affect electrical generation. Convert your generator into a simple motor just by making a few quick alterations whilst also allowing for greater exploration. Further still, you can convert your simpleGEN into a wind turbine nacelle. The simpleGEN classroom pack has enough materials to build 10 generators and includes three digital multimeters. This Kit is also available in the KidWind simpleGEN Classroom Pack. The same as the KidWind simpleGEN but has enough materials to build 10 generators and includes three digital multimeters. Your students can now investigate the fundamentals of electrical generator design with an easy to build AC generator. 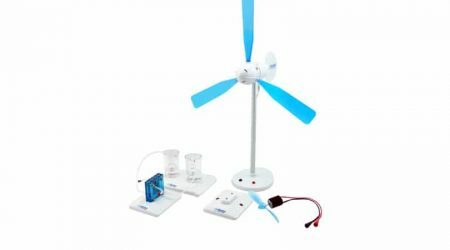 The KidWind SimpleGEN enables you to demonstrate Faraday's law, light LEDs, and perform experiments that explore how coils, magnets, and rotation affect electrical generation. Convert your generator into a simple motor just by making a few quick alterations whilst also allowing for greater exploration. Further still, you can convert your simpleGEN into a wind turbine nacelle. 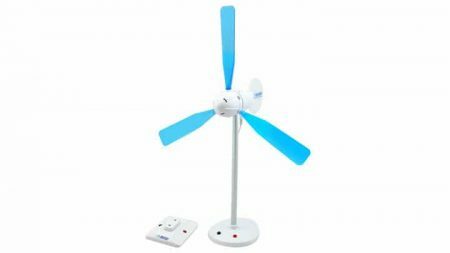 The MINI Wind Turbine with Blade Design allows students to perform basic blade experiments on a desk using a small house fan.